The barns have been renovated to obtain a five star grading using traditional building methods and have such features as oak beams, natural slate and limestone floors and eco friendly clay paint. 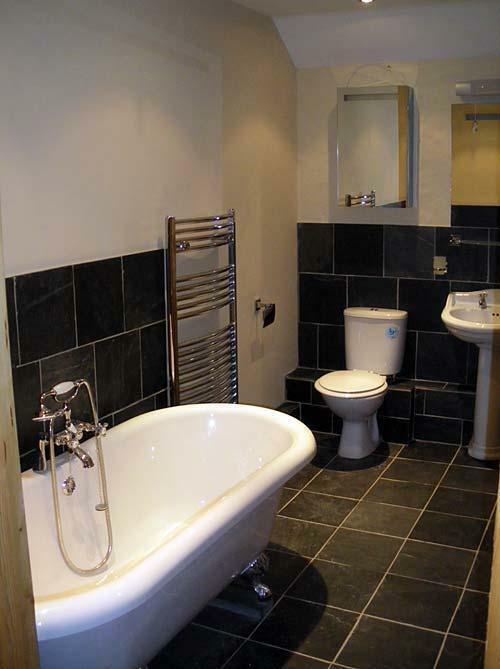 The fittings for the barns are all to the highest standard and are fully equipped with modern kitchens and bathrooms. 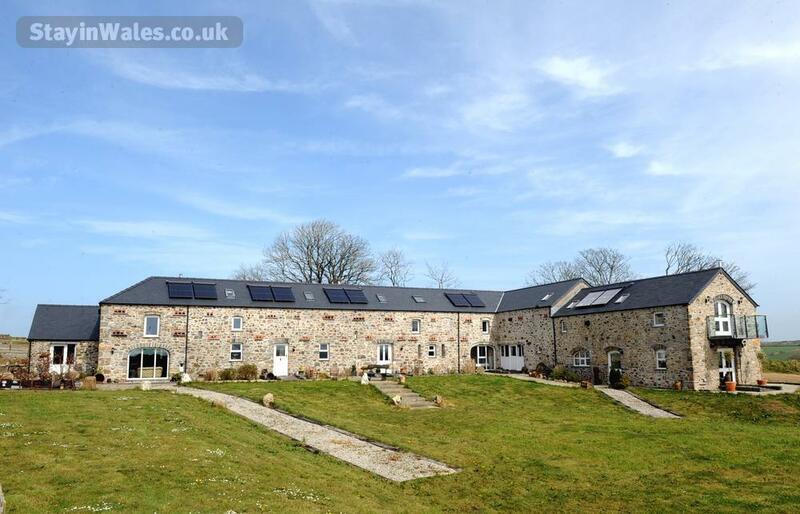 There are five barns, and they are attached to each other so this makes them ideal for larger extended family holidays where each can occupy their own Barn adjacent to each other (subject to availability of course). The barns do not have connecting doors. 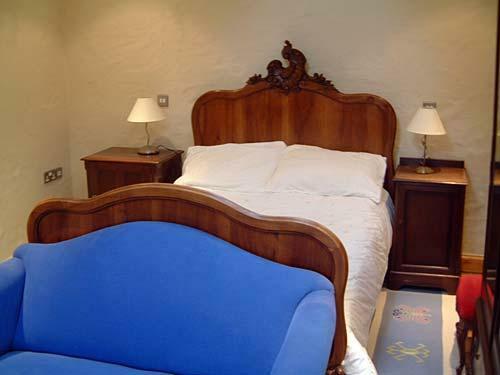 The barns are approached by a quarter mile of private drive and there is ample parking to the rear of the barns. All are furnished with antique furniture, fittings and traditional log burning stoves for those cosy nights in by the fire. Each barn has its own secluded landscaped area for dining al fresco or just for relaxing and watching the sunset with a glass of wine. Care has been taken to ensure access for those with restricted mobility providing bedrooms and wet room showers on the ground floor. Please note all barns are non smoking and we are sorry but we do not accept pets. The Cart House - This was the old Cart house to the farm and has a beautiful window with a stone archway to the front. This converted barn will sleep 6 and has a large double/twin bedroom downstairs with two further double bedrooms upstairs. 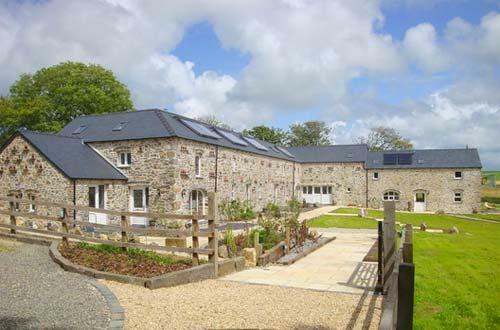 The Stables - Originally the old Stables to the farm this is the longest barn on the farm and offers a great space to relax and enjoy the modern barn facilities while still retaining the character features. It has a 40ft kitchen/lounge/diner with a galleried landing. This converted barn sleeps 7 and has a luxurious master bedroom suite upstairs and downstairs has a large double/twin bedroom and a bunk bed room ideal for children which sleeps 3. 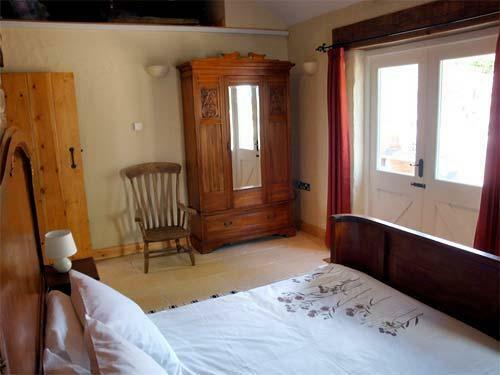 The Barn - This was the general barn to the farm and this luxury unit has two large double bedrooms with ensuites and will sleep 4 people. There is a large kitchen/lounge/diner with a galleried landing with one double room downstairs and one double room upstairs. 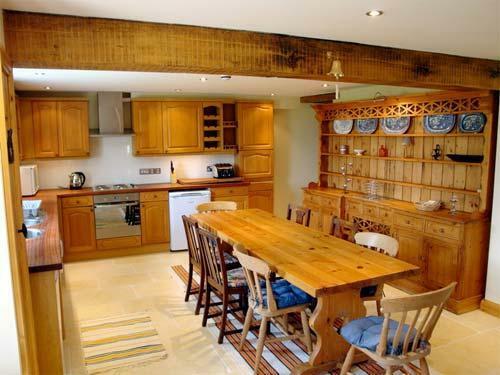 The Grain Store - This was the old Grain Store to the farm and is a lovely, light, airy barn offering a double height living, kitchen and dining area. 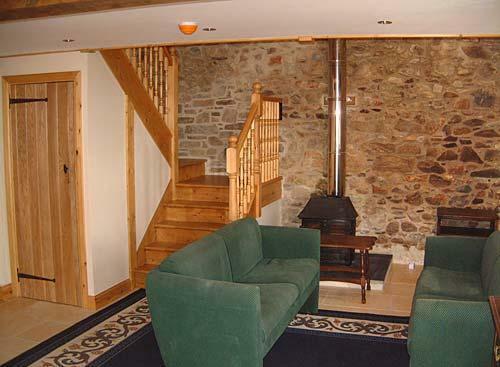 This barn will sleep 6 in a large double bedroom upstairs and two further double/twin rooms downstairs. 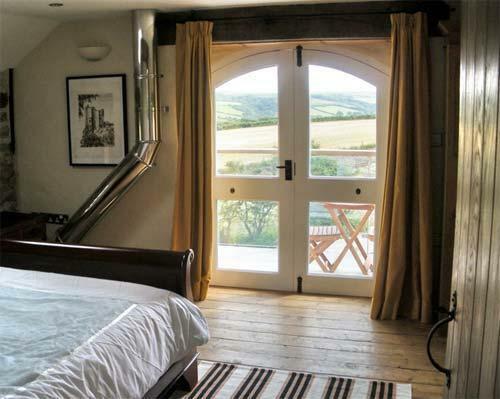 The Cow Shed - Originally the old Cow Shed to the farm, as this barn is on the end it has stunning views down Brandy Brook Valley from the contemporary bedroom balcony on the first floor. This barn has a separate lounge, dining room and kitchen. Upstairs there are 3 large bedrooms and will sleep 6 in comfort and luxury. Please note that this is the only barn not to have a bedroom on the ground floor. The barns are located down a private quarter mile driveway and this provides a secluded and safe environment free from passing traffic for children to play. To the front of the barns there is a large grassed area for relaxing and playing. There is a wildlife pond which is fenced off to provide safety for children. There is also a dedicated enclosed children's play area with swings, a slide and climbing frame. Pembrokeshire offers a wealth of places to visit and things to do ranging from the outdoor activity based to more cultural and historical attractions. 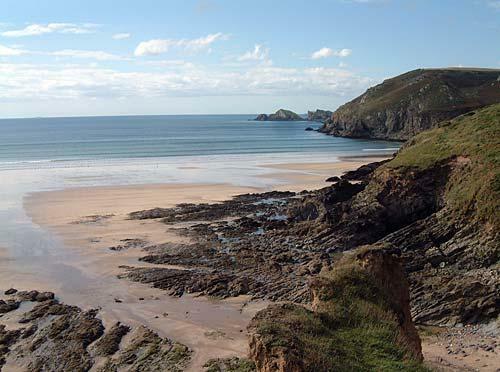 We are only 3 miles away from Newgale beach which is a Blue Flag beach, famous for its surf and offers surfboards, skis, surf canoes and wet suits for hire. For those keen on walking we are very close the Pembrokeshire Coast Path with its spectacular landscape of rugged cliffs and sandy beaches. 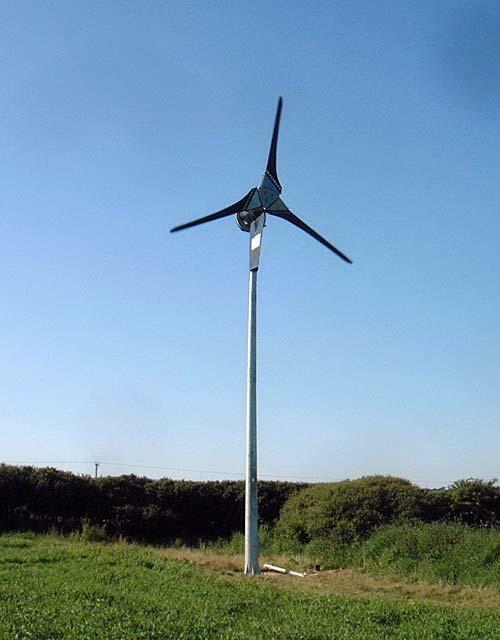 Children are welcome at Asheston Eco Barns and we provide cots, highchairs and stairgates as standard. Additional baby friendly measures such as bottle warmers, baby baths and baby monitors can be made available. Please discuss your requirements when you make a booking. Utilities, bed linen and towels (not beach towels) are included in the price.